At the local school, St Martin’s High, the devastating news is met more with morbid fascination than fear among its students – except for 12-year-old Sophie. Unlike her peers, Sophie knows what it’s like to be afraid and never truly feel safe. The only time she feels a sense of security and belonging is when she’s with her best friend Hannah … if only she could confide her darkest secrets to the girl she admires … the girl whose home life is so very different from Sophie’s … the girl whom Sophie wishes she could be more like. When Hannah begins hanging out at a popular teenage club ‘The Sloop’ and starts dating the charming and clever Damian, Sophie suddenly feels left out. With each day, Sophie notices Hannah drifting farther from her. Before the friends can reconcile, the village is thrown into fresh panic when Sophie fails to return home after a high school dance – and is never seen again. 2014. Hannah is living the life most young women dream of as a successful columnist for a fashion magazine in New York City. But after years of being the party reporter, documenting the revelries of the rich and famous, she craves a deeper subject for her writing. 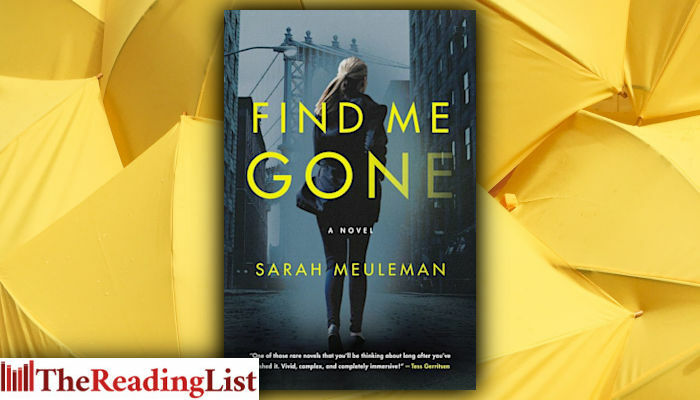 Quitting her job and leaving her former glitzy Manhattan lifestyle for a run-down apartment in Brooklyn, she spends her days writing a biography of three famous authors: Agatha Christie, Barbara Follett, and Virginia Woolf – three women who struggled with family, loyalty, and ambition … three women who one day disappeared without a trace.